Ripped from their villages… decimated by the cruel guns of the white man – these were the handful of near-naked Apaches, still roaming the blood-soaked sands. 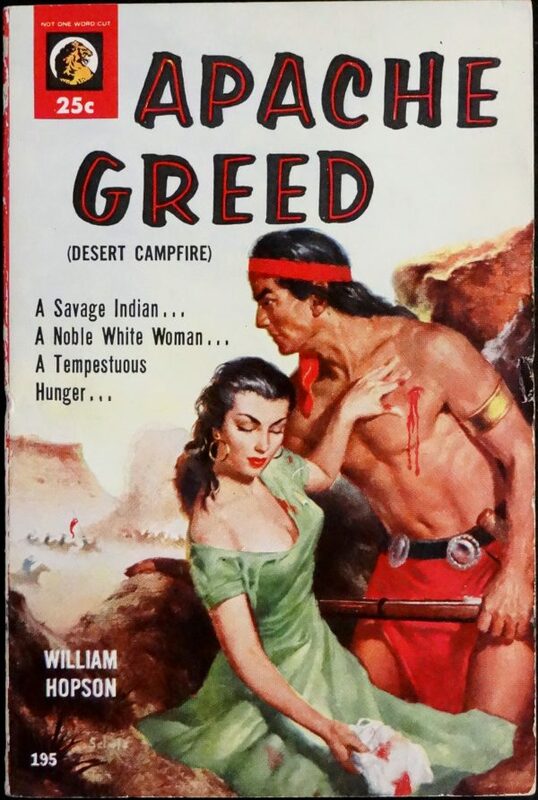 APACHE GREED is blistering novel of the Southwest – pulsing with the passion of two people – a beautiful white woman, and an Apache warrior. Presumably a novel aimed at women who fantasised about romances with Apaches.